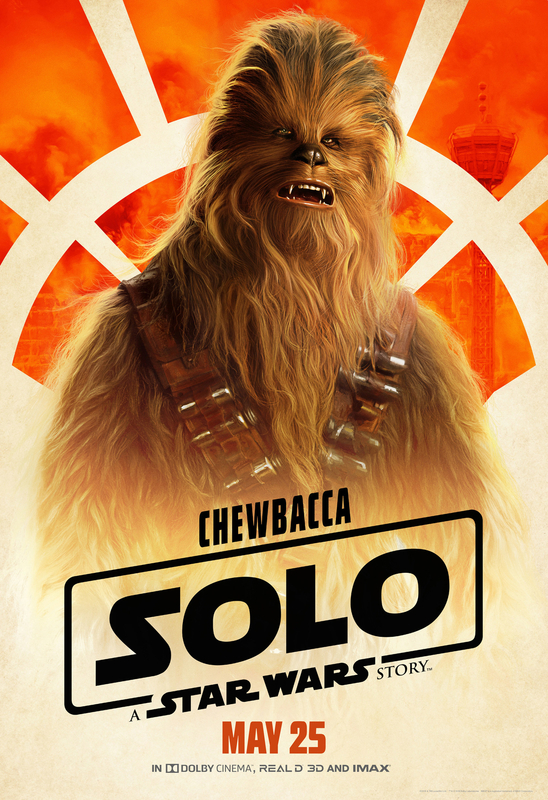 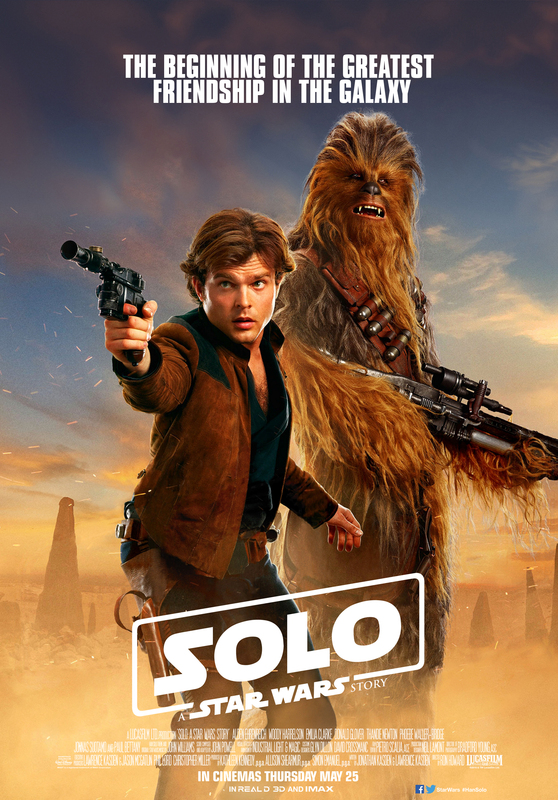 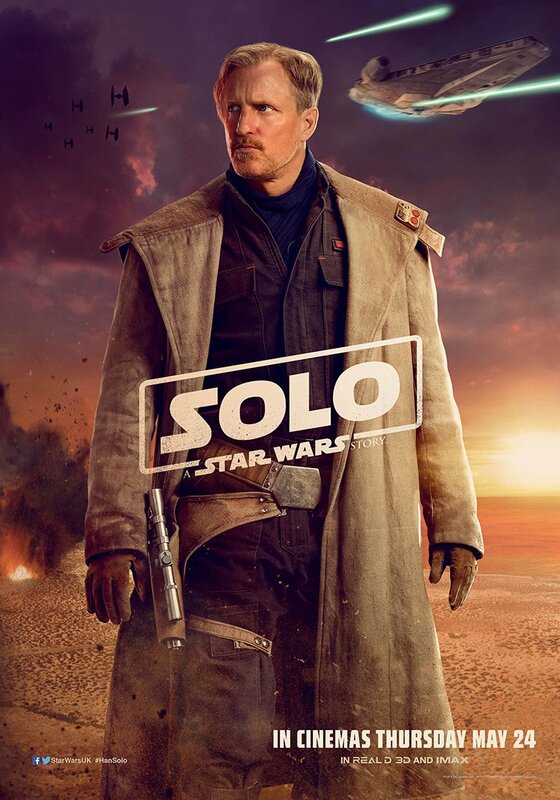 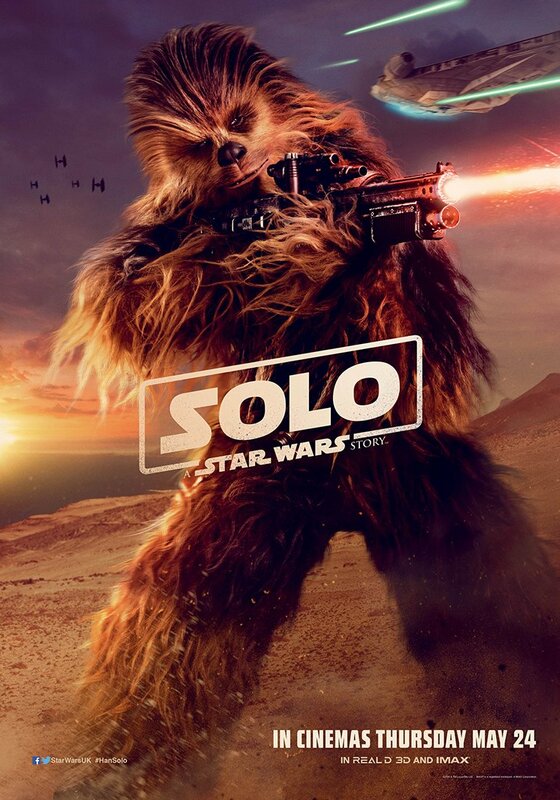 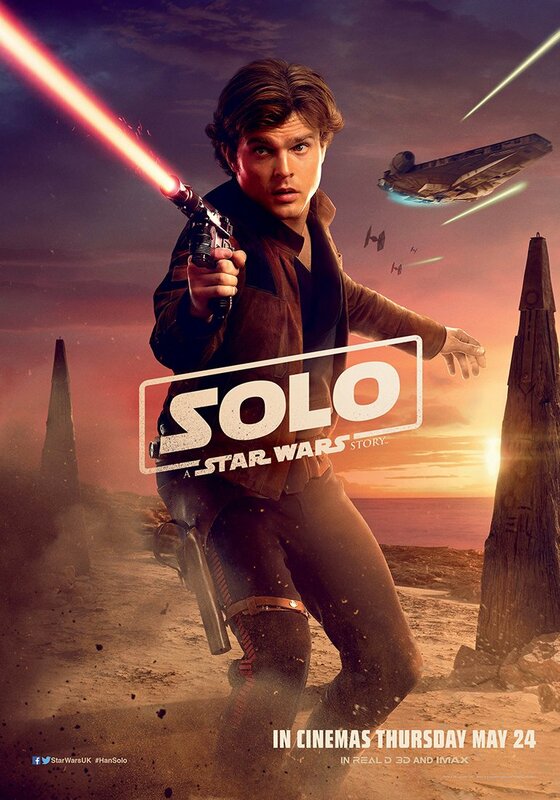 Chewbacca played by Joonas Suotamo is looking debonaire and not at all like a walking carpet. 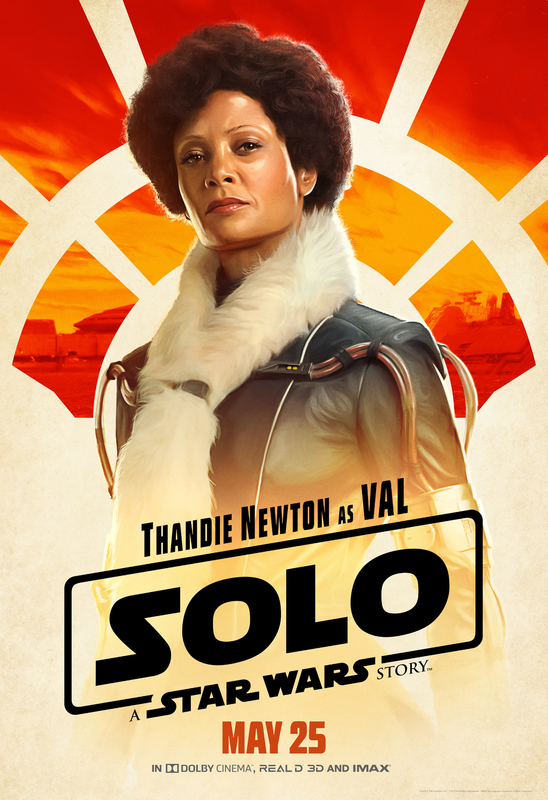 A member of Tobias Beckett’s criminal crew, the occasionally prickly Val is cool and self-assured without being flashy. 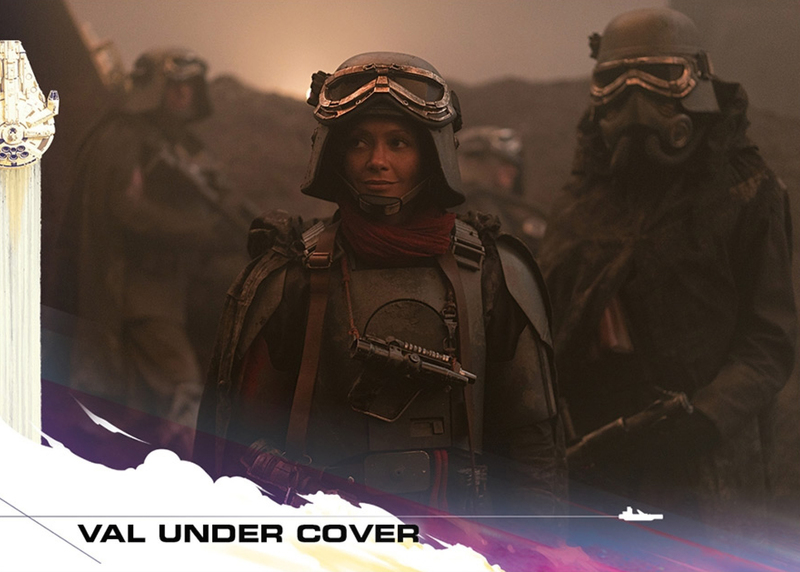 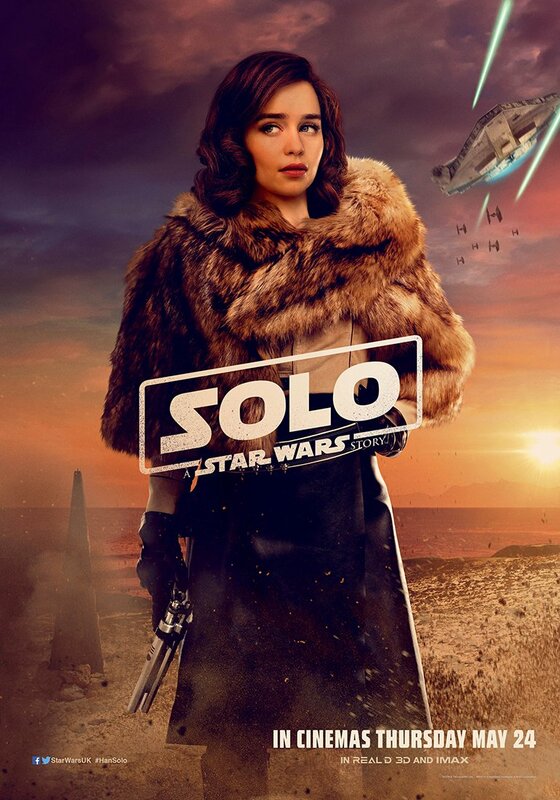 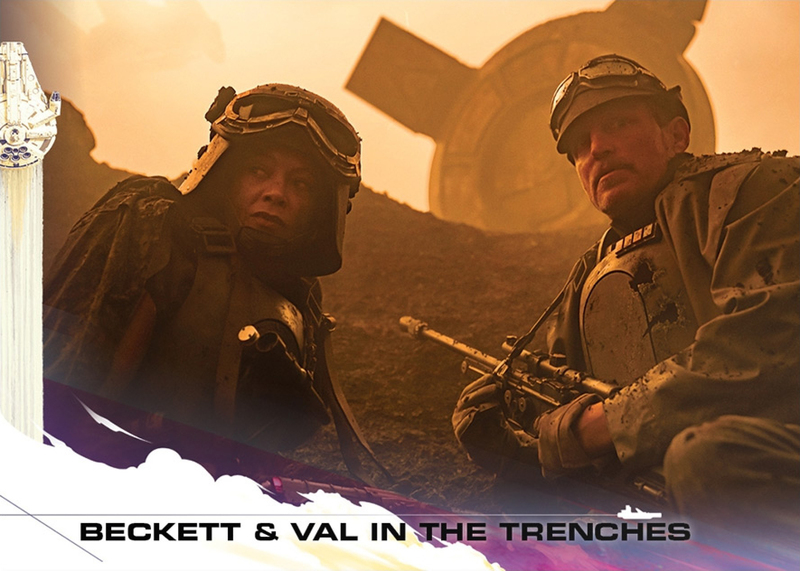 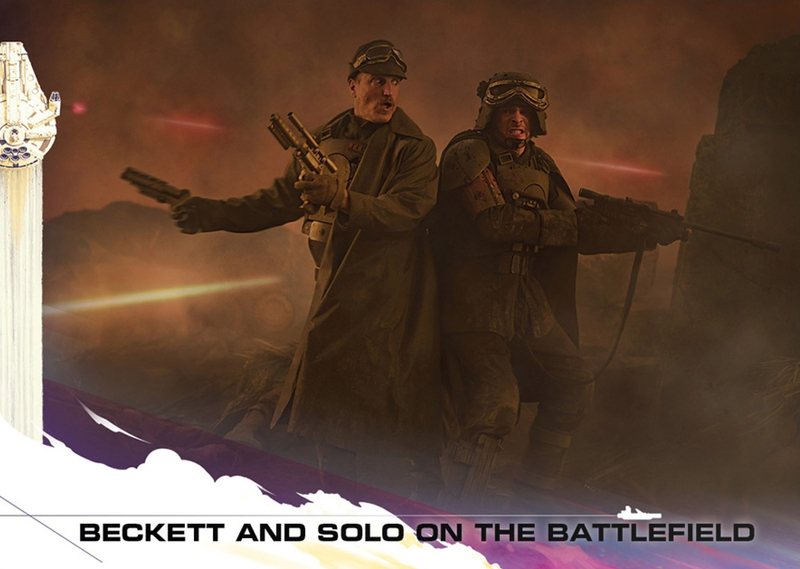 Measured and methodical, she is a crack shot with a blaster rifle, and the most even-headed and capable member of the ragtag gang of rogues Beckett has recruited to undertake a foolhardly escapade in search of riches on the muddy battlefields of Mimban. 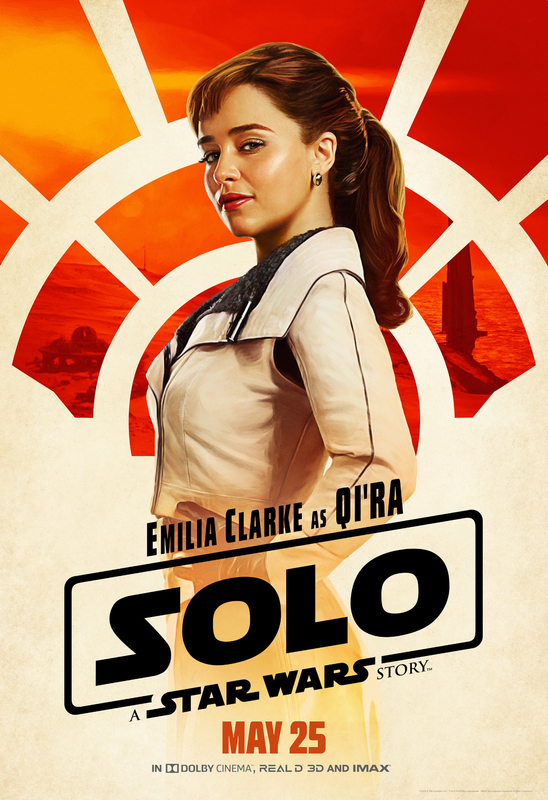 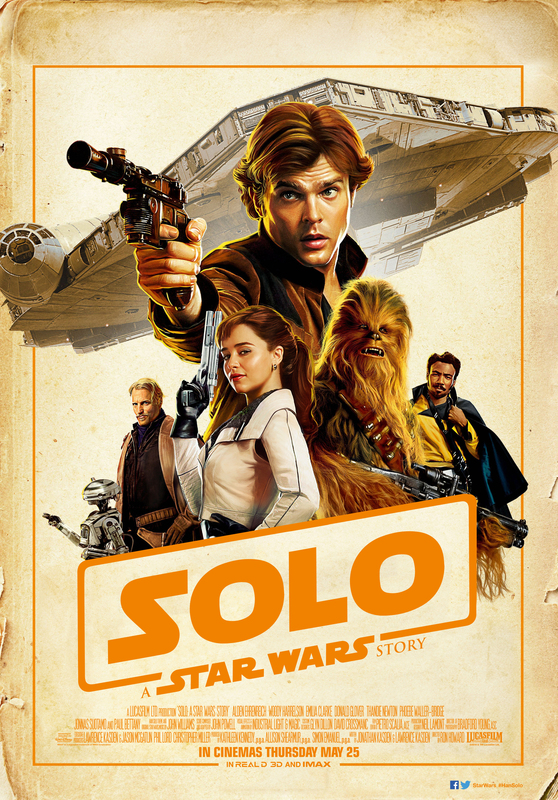 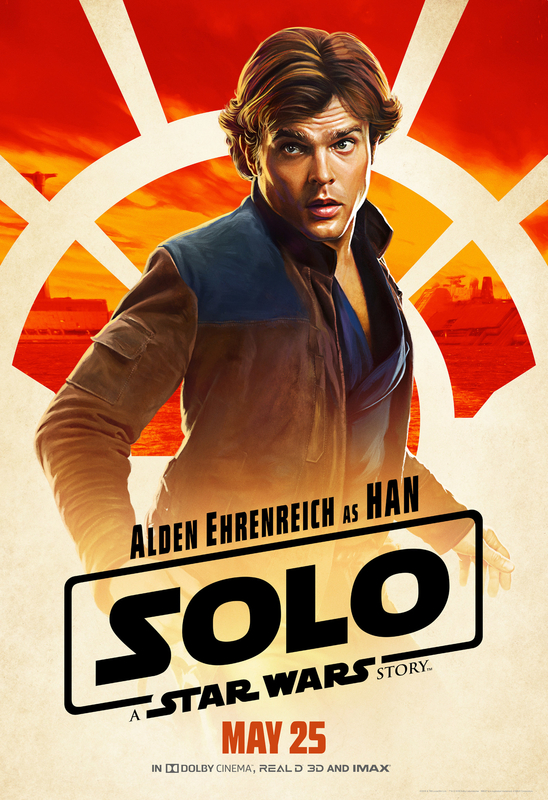 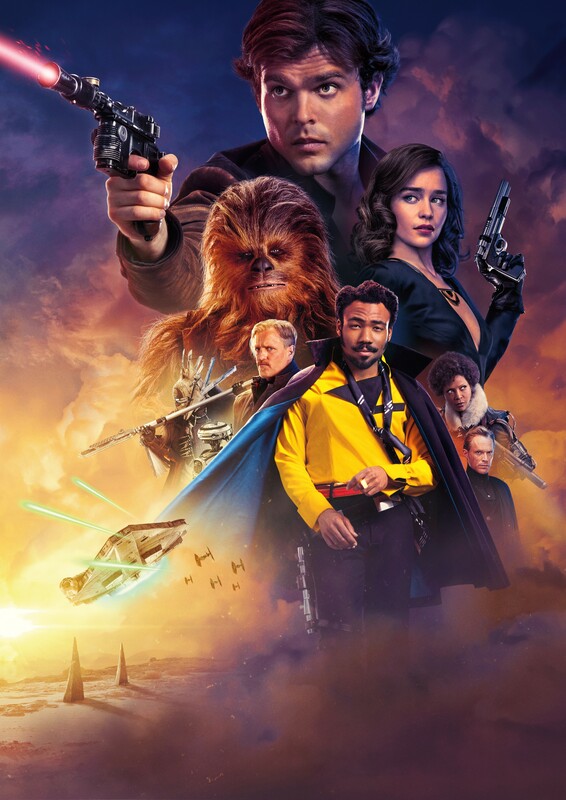 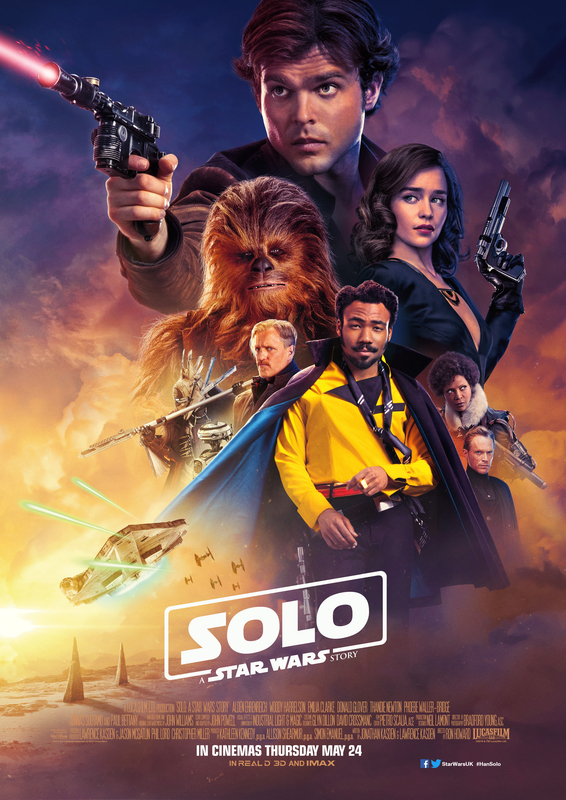 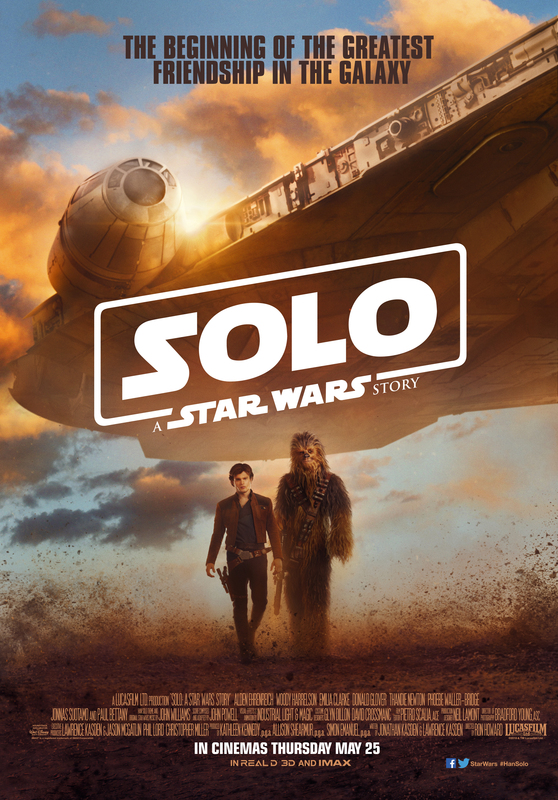 When she first meets Han, Val is far from impressed with the young Corellian, lacking faith and skeptical of his self-professed skills as a pilot. 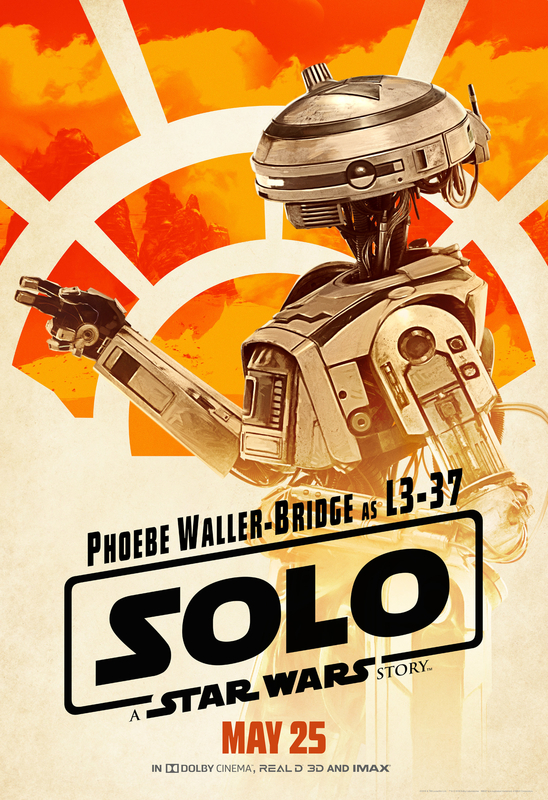 VOS is a name with a rich heritage in a galaxy far, far away. 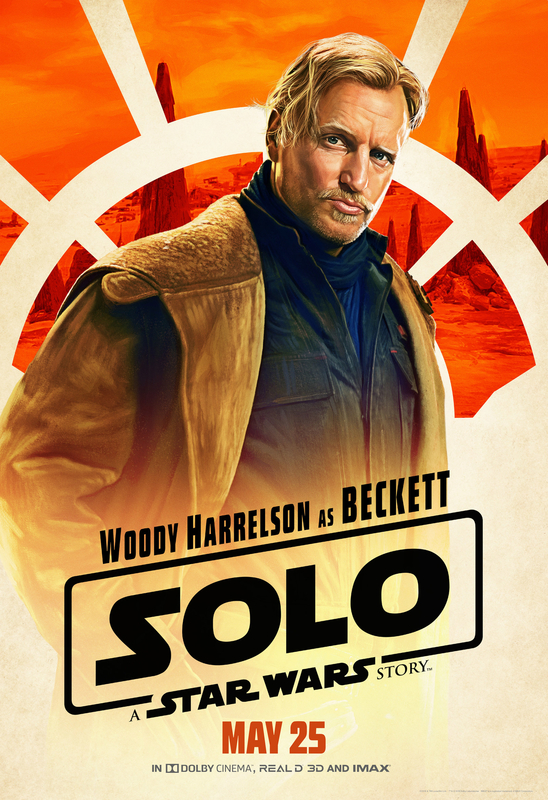 Quinlan Vos was a maverick Jedi who battled during the final days of the Old Republic. 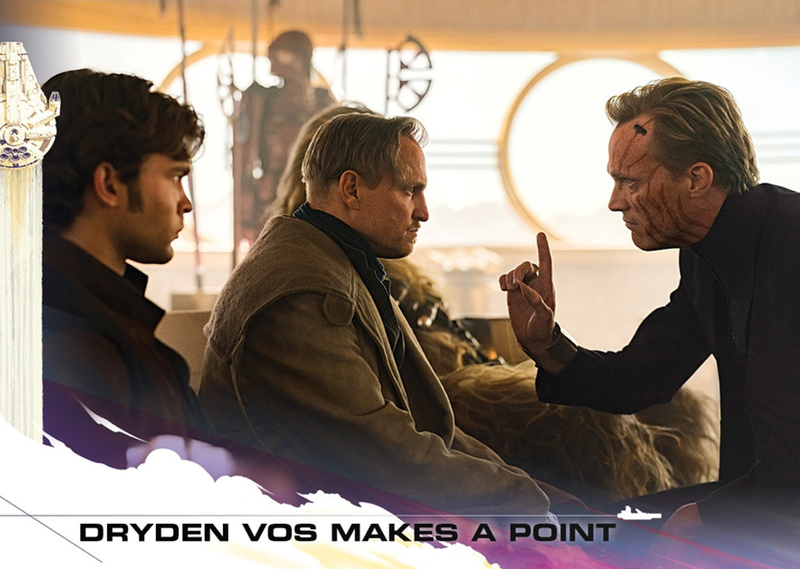 While he was no relation, Dryden Vos shared a similarly rebellious streak, if operating on the opposite point of the moral compass. 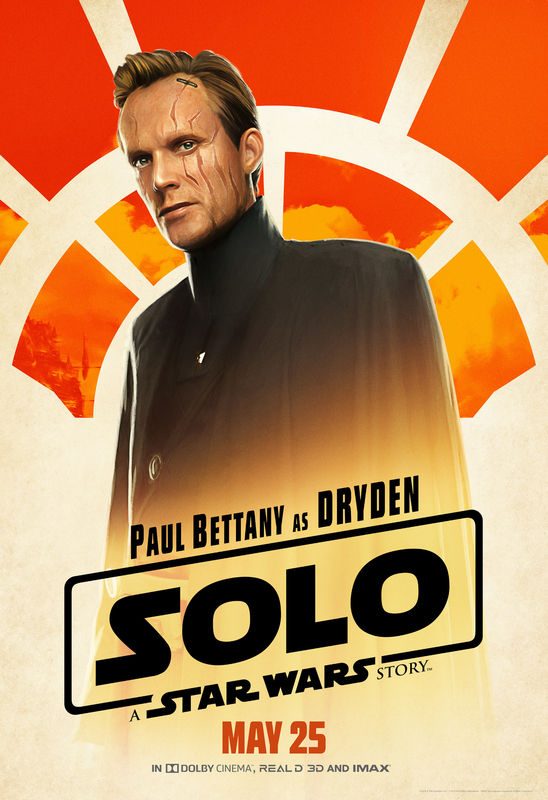 Dryden Vos was a crime lord operating under the radar of the Empire. 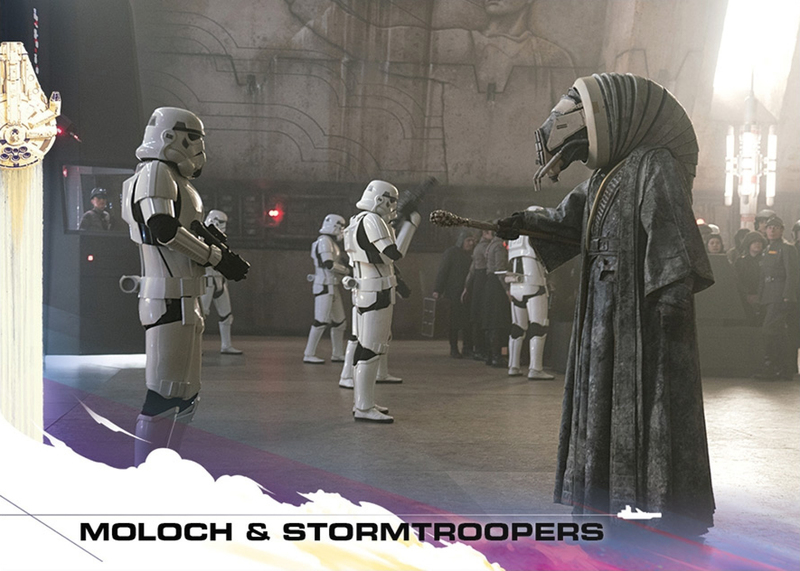 If Jabba was slimy and sluggish, Vos was the debonair face of the Galactic Underworld. 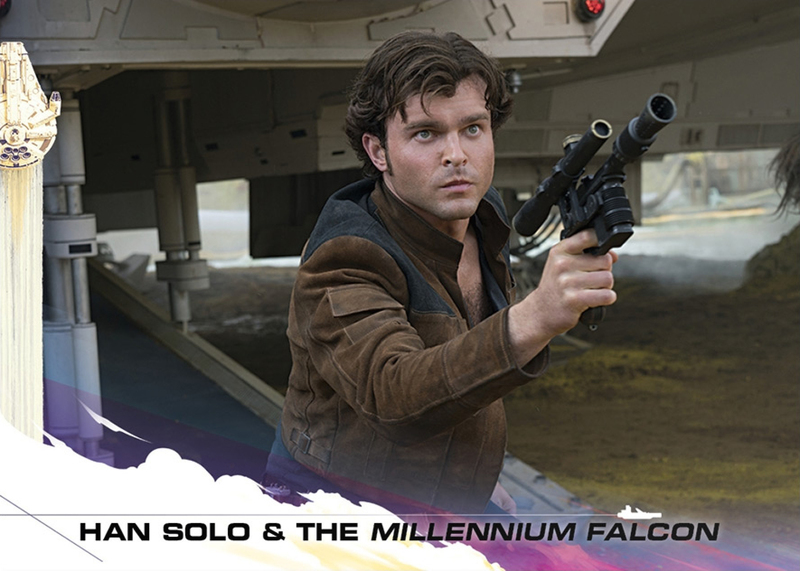 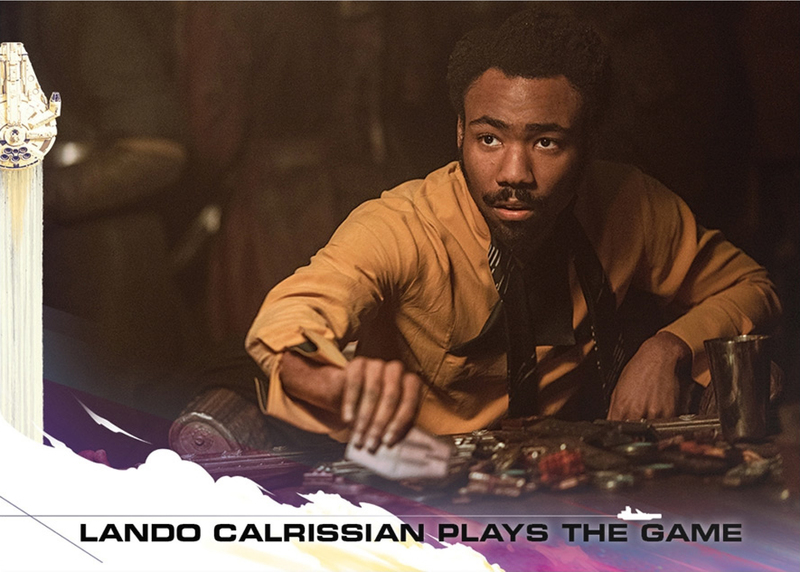 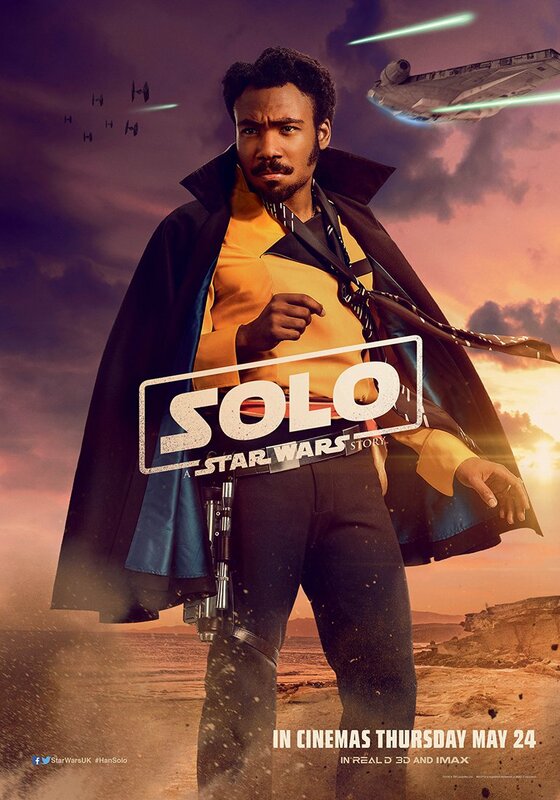 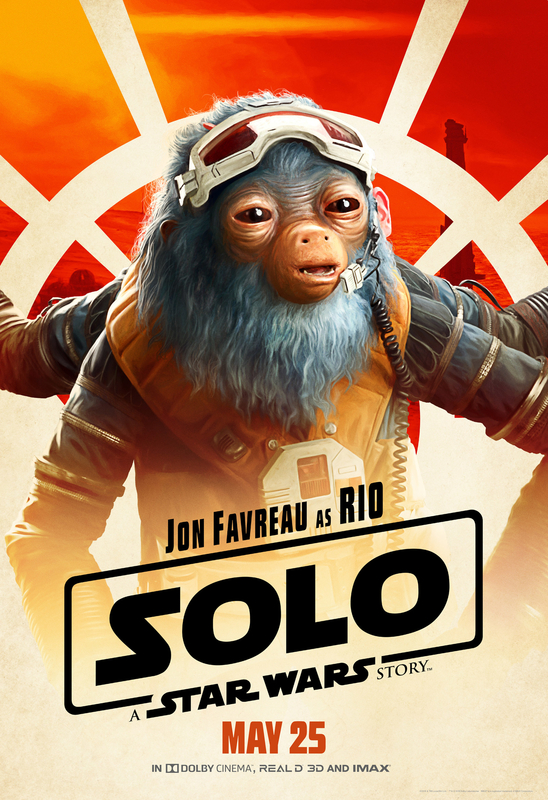 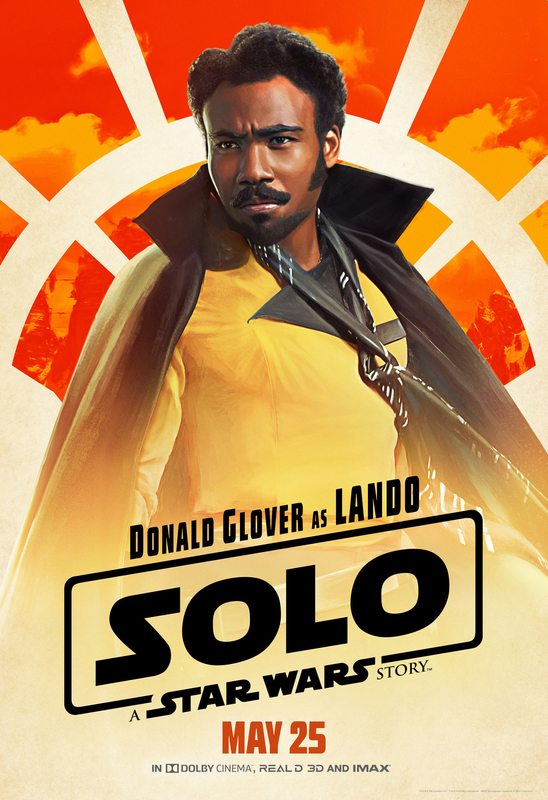 When Solo first encountered him, he struggled to determine if he was his kind of scum. 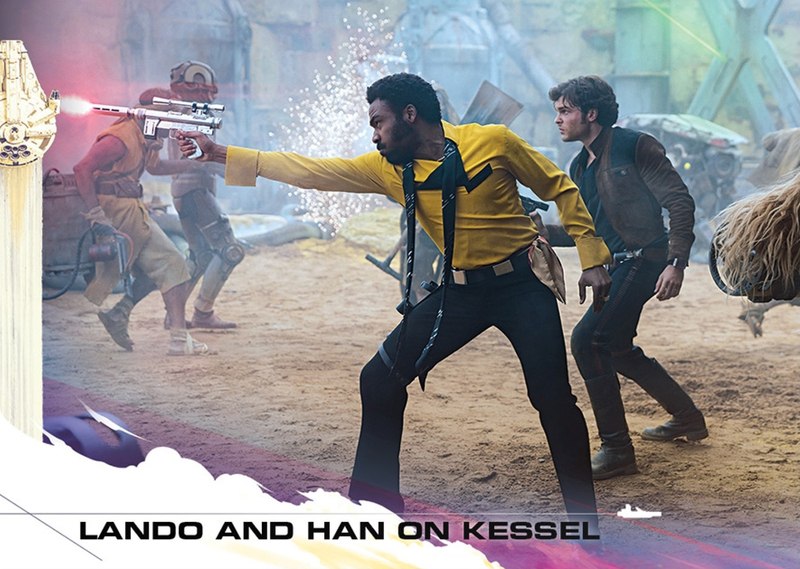 Han needed to be cautious.